To tackle the threat of Islamism in America, the new administration must challenge groups that advocate extremist ideas. As part of President Trump's unapologetic promise to defeat "radical Islam," critics expect an overhaul of the previous administration's Countering Violent Extremism (CVE) program. Under Obama, officials adopted counter-extremism policies that European politicians tried over a decade ago and have since deeply regretted. To tackle the threat of Islamism, the new administration must identify and challenge the specific groups and networks within American Islam that advocate extremist ideas, or officials may inadvertently repeat Obama's practice of legitimizing Islamists as leaders of all American Muslims. The British government once blindly accepted Islamist claims to represent its Muslim constituents. Bright's investigation, however, revealed something quite different from what these Muslim leaders had been telling credulous politicians. 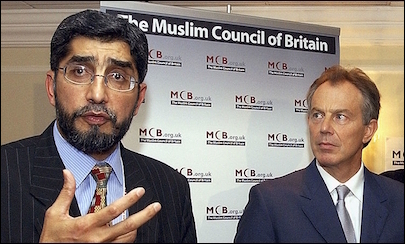 The leading recipient of taxpayer funds, the Muslim Council of Britain (MCB), was in fact run by a violent Islamist group from South Asia, Jamaat-e-Islami (JI), which had close ties with the Muslim Brotherhood and had been involved in the mass killing of Bangladeshis during that nation's 1971 Independence War. The government embraced Islamist groups such as the MCB so tightly that, as Bright revealed in 2005, Britain's foreign secretary, Jack Straw, and MCB leader Iqbal Sacranie (an early supporter of Iran's fatwa for the killing of Salman Rushdie) even used the same speechwriter. Iqbal Sacranie and British Prime Minister Tony Blair in 2004. With the MCB in charge, Muslim organizations could not receive government backing for projects without the MCB's stamp of approval. Naturally, the Islamists prospered. Moderate Muslims, meanwhile, were left without a voice. Over the next decade, the true extent of Islamism's grip over British Islam was slowly revealed, thanks to a motley collection of journalists, bloggers, and anti-Islamist Muslims willing to challenge government wisdom. Prison chaplains, it emerged, had been chosen primarily from the Deobandi sect, a hard-line branch of South Asian Islam from which the Taliban had emerged. Taxpayer-funded schools in Birmingham, the U.K.'s second-largest city, had been taken over by a network of Islamists who preached hard-line Islamist rhetoric to young children. Compelling evidence was uncovered to show that prominent Muslim charities controlled by JI and the Muslim Brotherhood were funding terrorism abroad. Counter-extremism funds were being handed to Salafist and Jamaat-e-Islami groups. And in 2009, the Labour government cut off ties completely with the Muslim Council of Britain after its officials were found to be signatories to the Istanbul Declaration, a document that advocated attacks on British troops and Jewish communities. As evidence emerges about the backgrounds of those convicted of terrorist offences, it is clear that many of them were initially influenced by what some have called "non-violent extremists," and they then took those radical beliefs to the next level by embracing violence. . . . Some organizations that seek to present themselves as a gateway to the Muslim community are showered with public money despite doing little to combat extremism. As others have observed, this is like turning to a right-wing fascist party to fight a violent white supremacist movement. The British government overhauled its counter-extremism programs and cut off dozens of Islamist groups from taxpayer funding. Politicians and journalists learned a very important lesson about Western Islam: It is a diverse mix of dozens of different political and religious sects, which includes both violent and non-violent extremists. No single group could represent all Western Muslims, and it was only by delineating British Islam into its diverse, competing constituents that extremism could be effectively tackled and suitable Muslim allies identified. Non-violent Islamism is not a bulwark against violent Islamism. After all, if policymakers did not know which networks and groups within Western Islam were the bad guys, then how could they learn who the good guys were? Across the Atlantic, American officials distinctly failed to note the lessons that Europe has learned the hard way. The Obama administration's foreign policy treated Islamists as forces of democratization, and its domestic policy legitimized Islamists as gatekeepers to the Muslim community. The Obama administration's Countering Violent Extremism (CVE) program enabled Islamists to rub shoulders with America's political elite. 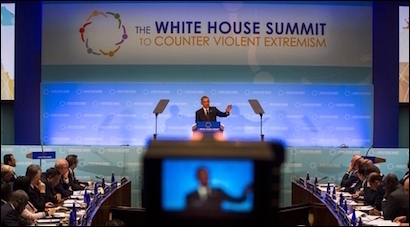 First envisioned in 2011, the Obama administration's Countering Violent Extremism (CVE) program promised to "support and help empower American communities and their local partners in their grassroots efforts to prevent violent extremism." In February 2015, the government launched CVE pilot programs in Boston, Minneapolis, and Los Angeles. To kick things off, the White House hosted a three-day summit. Writing about the conference in the Los Angeles Times, Obama reiterated that the "focus" of CVE "will be on empowering local communities." Whom exactly was the White House empowering? Representing the pilot program in Boston, leaders from the Islamic Society of Boston (ISB) and the Islamic Center of New England (ICNE) were invited to the White House summit. The ISB was established by the al-Qaeda operative Abdulrahman Alamoudi, who was jailed in 2004 for his role in a Libyan plot to assassinate a Saudi crown prince. The mosque's trustees have included prominent Islamist operatives, such as Yusuf al-Qaradawi, the spiritual leader of the global Muslim Brotherhood. 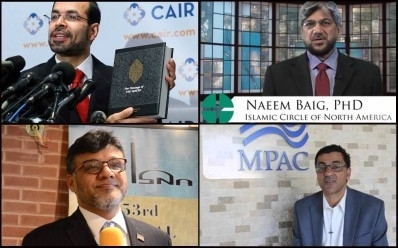 According to a report published jointly by Muslims Facing Tomorrow and Americans for Peace and Tolerance, twelve congregants, supporters, staff, and donors of the ISB have been imprisoned, deported, or killed or are on the run — all in relation to terrorism offenses. The Obama administration distinctly failed to note the lessons that Europe learned the hard way. The ICNE was once a moderate local mosque, until its imam was ousted by Abdulbadi Abousamra (the father of ISIS terrorist Ahmad Abousamra) and Muhammad Hafiz Masood, who is now a spokesman for the Pakistani terrorist organization Jamaat-ud-Dawah. Masood's brother, Hafiz Saeed, is responsible for the 2008 Mumbai attacks and was arrested this month by Pakistani law enforcement. Taking part in the government's CVE program was not just an opportunity for Islamists to rub shoulders with America's political elite; it was also a chance to obtain taxpayers' money. As part of the Boston CVE pilot program, a group based at the ISB named United Somali Youth received over $100,000, despite having initially joined protests against the CVE organized by Islamist groups, which claimed that the program was designed to demonize Muslims. In 2016, despite widespread media criticism of the CVE pilot programs, Congress approved a further $10 million of CVE grants. As Obama was leaving office, the Department of Homeland Security awarded $393,800 to the Muslim Public Affairs Council (MPAC), an organization with a long history of ties to extremism. MPAC was founded by individuals closely involved with the Muslim Brotherhood. Its founder, Maher Hathout, declared that the Iranian-backed terrorist group Hezbollah was "fighting to liberate their land" and exhibiting "an American value — freedom and liberty." Before being offered almost half a million dollars, MPAC had also expressed opposition to the CVE program. Another $800,000 of taxpayers' money was awarded to Bayan Claremont (an Islamic graduate school in Claremont, Calif.), whose president, Jihad Turk, was recently a member of the executive council of the Islamic Society of North America (ISNA). In 2008, federal prosecutors named ISNA as an unindicted co-conspirator during the Holy Land Foundation terrorism-financing trial. A judge later ruled that "the government has produced ample evidence" connecting Hamas and ISNA. Bayan Claremont faculty includes Ihsan Bagby, a former senior member of the Council on American–Islamic Relations, which was also designated an unindicted co-conspirator in 2008; Suhaib Webb, a former imam of the ISB who decries the "evil inclination" of homosexuality and "understands . . . animosity" towards Jews; and Edina Lekovic, an MPAC official who was the managing editor of an Islamist student magazine that, in 1999, called on Muslims to "defend" Bin Laden as a "freedom fighter." To flaunt its anti-Trump credentials, Bayan Claremont recently returned the $800,000 it received, despite successfully applying for the grant under Obama. Regardless, are these really the "community" leaders that the government's "countering violent extremism" program should empower? President Trump repeatedly pledged to combat "radical Islam" on the campaign trail. The Trump administration's plans for CVE are not fully known. Most recently, White House sources announced that CVE would focus solely on Islamic extremism and would be renamed "Countering Islamic Extremism" or "Countering Radical Islamic Extremism." Under Obama, all White House, Homeland Security, and Justice Department documents concerning CVE conspicuously omitted any mention of "Islam" or "Islamism." Clearly, we should be pleased that the new administration is prepared to name the issue that occupies headline news almost every day. 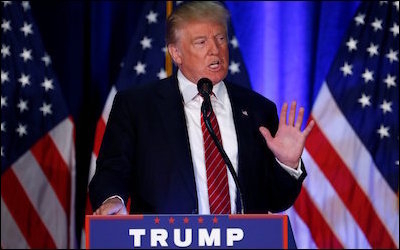 But we still do not know what Trump's counter-extremism plans actually entail, although it seems unlikely that Muslim Brotherhood groups will receive more government grants. Among moderate Muslims, however, there is some concern that a ham-fisted approach could be just as ineffective as Obama's flawed ideas. If Trump fails to delineate American Islam into its various components, and instead treats all American Muslims as part of the same problem, then the government will find it impossible to tackle extremism effectively. By cataloguing and excluding the "lawful" or "non-violent" extremists now in America, and the role they play in the radicalization of American Muslims, the government can work with genuinely moderate Muslim organizations to identify and prevent Islamists from, for example, operating schools and chaplaincy programs, obtaining taxpayer funds under the guise of community work, or using charitable endeavors to fund Islamist terrorism overseas. President Trump's former national-security adviser, Michael Flynn, reportedly wanted to "wage ideological warfare" against radical Islam using social media. But, as with all attempts to tackle Internet problems, this would be a Sisyphean task, and a distraction from the threat posed by homegrown extremists, who carry out their most dangerous work offline. State and federal governments must work to delegitimize Islamism in political and civic circles. At the cost of whole Muslim communities becoming isolated from Western society, tens of thousands of radicalized Muslim youth joining terrorist groups overseas, and civil unrest increasing, Europe has discovered that the pernicious effect of extremism is just as dangerous as an explosive act of terrorism. In America, let's not learn these lessons too late.